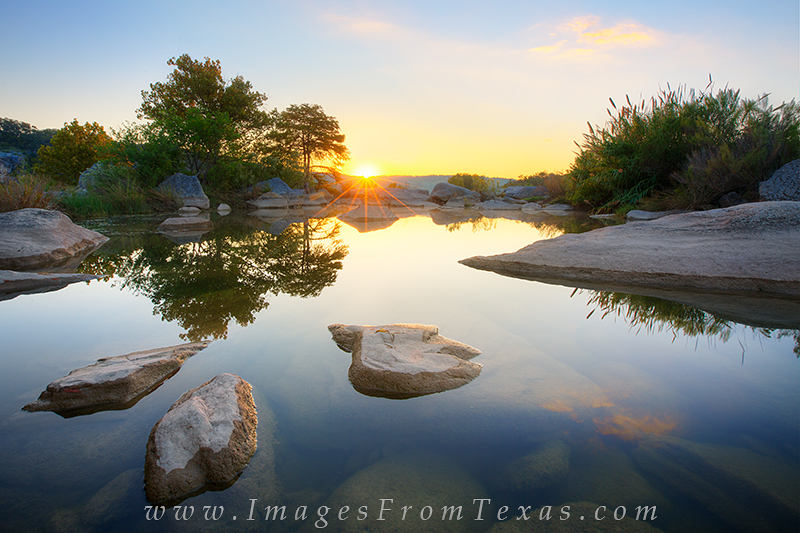 I love exploring Pedernales Falls State Park. In late October, I had gone out in search of potential places to shoot the coming Autumn color. Even though I'd been by here many times in the past, I discovered this little oasis and waited to capture the sunrise from this vantage point. Late, when the fall colors came to the hill country, this same area was under about 5 feet of extra water and I was unable to access this location without being swept away! Oh well... I will return next fall and try again. Photo © copyright by Rob Greebon.